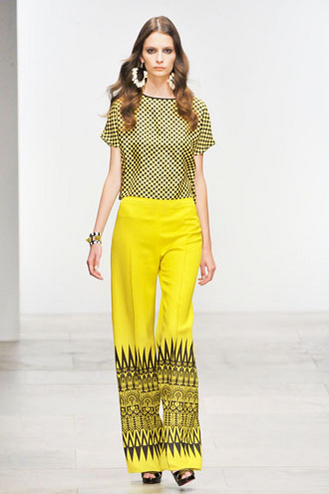 Moving on from New York Fashion Week's shows like Tory Burch, Prabal Gurung and Michael Kors - London took NYC Safari's one stage further - and went all out tribal. 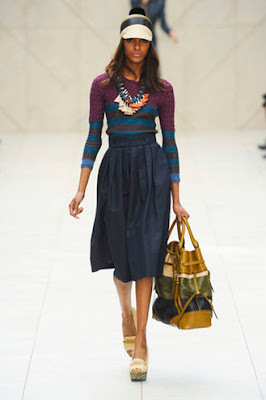 When conservative brands like Burberry Prorsum start going bright and printed, you know its a look to take seriously. Who need khaki hunting jackets when you can dip a trench coat in eccentricity and a dose of Africa? 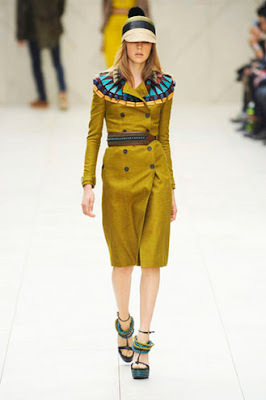 Even Matthew Williamson seemed to agree that his prints were bold, as he covered the bolder ones over with a jacket! Love the look - this fashion house just never make mistakes. Absolutely love this collection - nice mix of practical and totally the opposite, and the beads are fantastic - and has taken an approach to prints that everyone can work into their wardrobe.